To learn more about the winners, click here. The G20 Challenge on Inclusive Business Innovation was a global search for businesses with innovative, scalable, and commercially viable ways of working with low-income people in developing countries. Businesses around the world are finding innovative ways to work with low-income people living at the base of the pyramid (BOP), working with them as suppliers, distributors, retailers, or customers. These firms are called inclusive businesses. Developing an inclusive business model that addresses the particular needs of people living at the base of the pyramid is an accomplishment. Scaling that model and replicating it in new markets is a challenge. 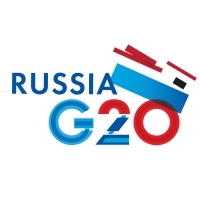 By recognizing businesses that have already succeeded in developing innovative, scalable, and financially sustainable inclusive business models, the G20 Challenge provides a global platform for all businesses to learn from successful leaders in the growing field of inclusive business, and enables these leaders to come together and develop linkages with other inclusive businesses. When fellow innovators have the opportunity to exchange ideas and experiences, who knows what new business opportunities may become possible? The G20 Challenge winners were invited to a series of inclusive business workshops held in different regions. The goal of the workshops was to foster the spread of inclusive businesses through showcasing successful examples, developing solutions to their growth challenges, and encouraging new business relationships.